Coupe has been developed since 2015. The company says that this development machine is the longest-playing exclusive car in history. Novelty equipped with a unique body with elements hinting at the classic racing cars Ferrari. The sports car got a windshield of the 'wrapping' shape like a visor of a racing helmet, a large rear wing and a low front diffuser with large air intakes behind the doors. The engine cover was made of unpainted aluminum. 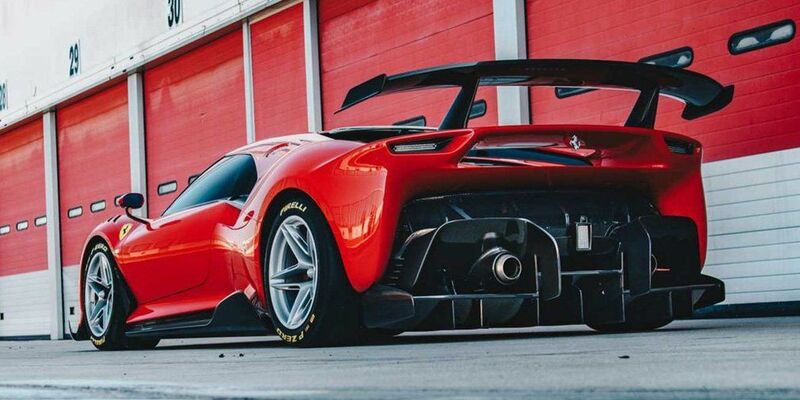 Ferrari P80/C is made on the racing coupe 488 GT3 bases. The car is driven by a 3.9-liter twin-turbo V8, issuing about 600 hp in the GT3.